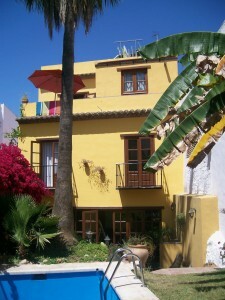 Hostal Lorca is a small hotel with 9 rooms, each with their own bathroom. 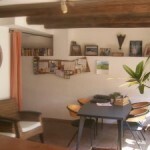 It is located in the old town area, close to the authentic tapas bars that are dotted around the narrow streets and only a few minutes walk to the Balcon de Europa and the beach. 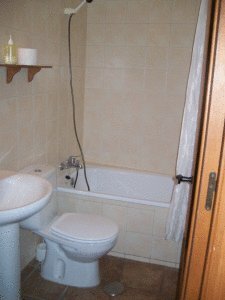 The hostel is recommended in the Lonely Planet guide for its great value, the lovely garden and the friendliness and helpfulness of the owners. 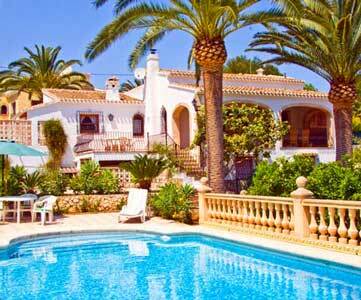 There is a small pool, a bar, and kitchen facilities that you are welcome to use. 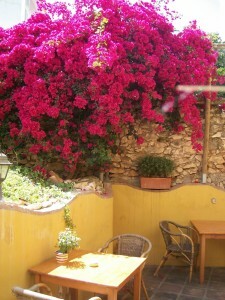 Hostal Lorca is an ideal accommodation for anyone on a budget. 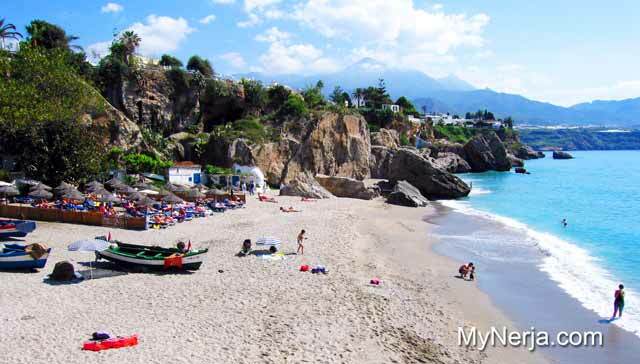 This is a great base for anyone visiting Nerja on a budget, with a double room starting at just €32 a night. 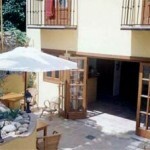 Despite the low cost the Hostal Lorca is not a downmarket option, being in a great location, very convenient for all the bars and restaurants in town and close to the bus stop from Malaga if you are getting the bus from the airport. 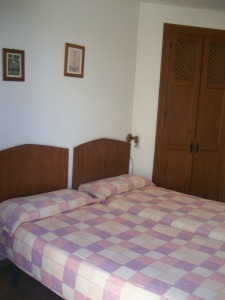 The hostal itself is on a quiet mainly residential street, with not much through traffic. 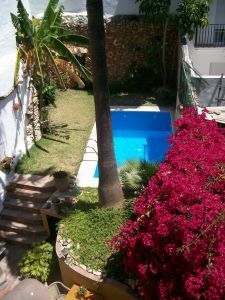 As well as having its own pool, the hostal is about 15 minutes walk from two of the nicest beaches in Nerja - Calahonda and El Salon, so there is no shortage of options for lazing about and enjoying the sun. 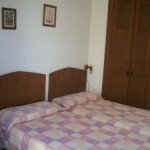 If you have visited Hostal Lorca Nerja you can leave a comment and star rating at the bottom of this page. If you have visited Hostal Lorca Nerja please rate it now by clicking on the stars below, then leave your comment using the form at the bottom. 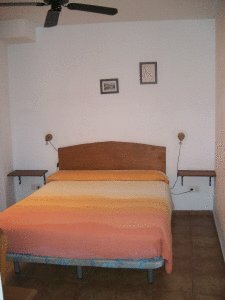 This is a great base for anyone visiting Nerja on a budget, with a double room starting at just €32 a night. 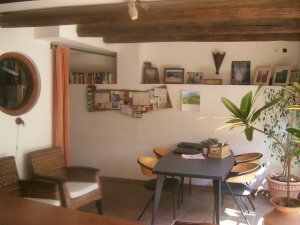 Despite the low cost the Hostal Lorca is not a downmarket option, being in a great location, very convenient for all the bars and restaurants in town and close to the bus stop from Malaga if you are getting the bus from the airport. 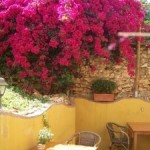 The hostal itself is on a quiet mainly residential street, with not much through traffic. As well as having its own pool, the hostal is about 15 minutes walk from two of the nicest beaches in Nerja – Calahonda and El Salon, so there is no shortage of options for lazing about and enjoying the sun.